Betws Garmon station building is approximately 28km or 17.4 miles from Porthmadog and has been derelict for many years. There is an urgent need to conserve what remains for future generations. 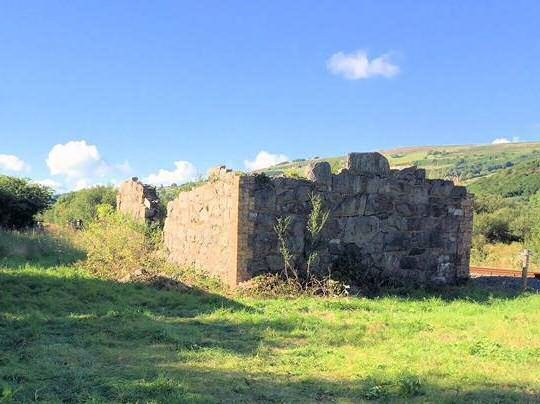 The Welsh Highland Railway Heritage Group, with the agreement of the FR/WHR Company, aims to stabilise the remains.The roof, including its supporting structure has vanished completely, there is a little of two external walls remaining but quite a lot of the remains of the other two. 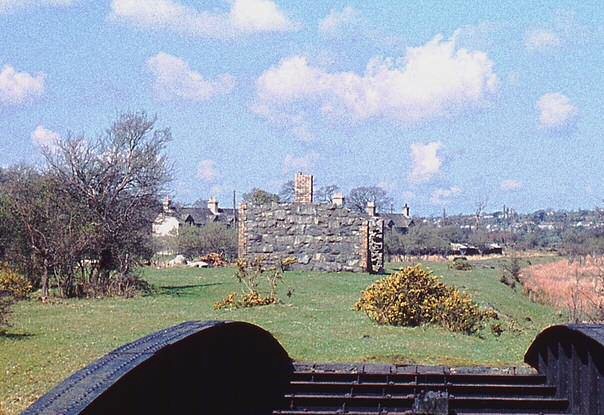 One of the original North Wales Narrow Gauge Railways station buildings, Betws Garmon was constructed around 1875 with a hipped slated roof and roughly random stone walls with brick (possibly Ruabon) quoins and window reveals. 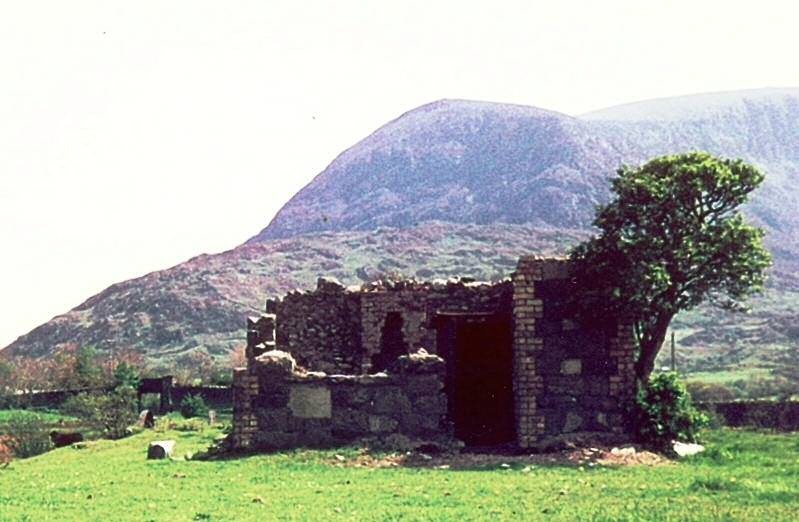 In style and construction, it strongly resembles other NWNGR buildings such as Tryfan Junction and the Waiting Room at Dinas. Many years ago, there was a short and sharply curved loop line behind the station and a branch south west to Ty Coch slate quarries. There is little prospect of traffic here in the immediate future nor enough clearance between the station ruin and the track for the clearance required by HM Railway Inspectors to allow reinstatement of a station stop. 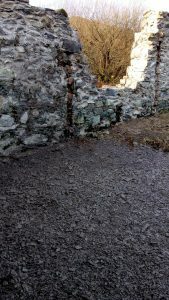 The proposed scheme of work involves, where practicable, reinstating the fallen stone and brickwork, repointing the stone and brickwork where necessary, and then providing a soft / turf ‘coping’ on top of the walls, an approach adopted by Historic England. The turf capping, acts like a ‘thermal blanket’ on the wall top, moderating both the upper and lower limits of air temperature changes, preventing damage from frost, but also reducing the amount of thermal movement within the wall. The cap sheds water in different directions each time it rains; where the soft cap is well established the longer grass stems often act like an overhang, directing water away from the wall face and sealing the walls from vertical water entry. On the vertical faces of the wall, lime mortar to match the original will be used for the pointing. The work is being entirely funded by the Welsh Highland Railway Heritage Group from donations and current funds. 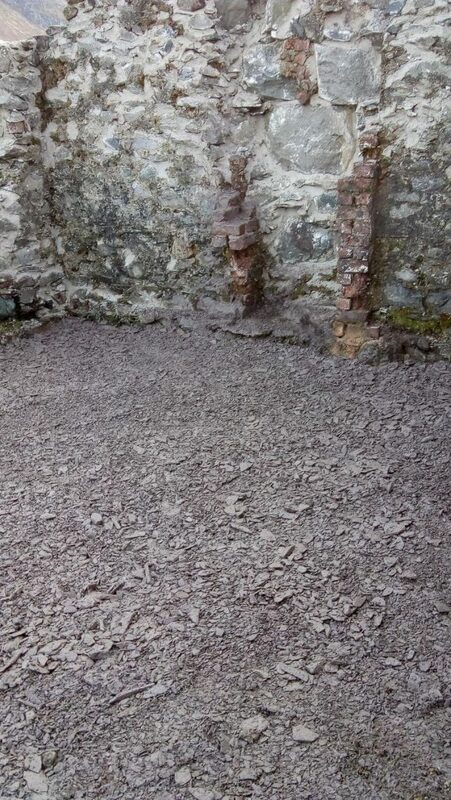 It is intended to employ a contractor for a significant part of the project, but voluntary support is required to prepare the site, but more importantly to sort the stone and brick debris and identify which pieces can be reinstated. The work is nearing completion and the photos below show the latest situation with the stonework finished and slate infill in place.